With works by leading Modernists and Contemporary Indian artists, this auction features over a hundred lots skilfully created with pastels, charcoal, acrylic, pen, watercolour, oil, and a range of media. Sales touched a total of Rs 1,99,91,532(US $327,730) Read more..
i. Deliveries in India for lots originating in India: Any sale of lots originating from India to an address in India is subject to a 12.5% VAT on the winning bid value and a 12.36% Service Tax on the Buyer’s Premium. A CST of 2% instead of the 12.5% VAT will be applicable on the winning bid value only if the purchasing entity is a business; the delivery location of the lot is outside the state of the location of the sale as mentioned in the Sales and Enquiries section of the catalogue and the Buyer provides the necessary documentation required by the Sales Tax authorities. 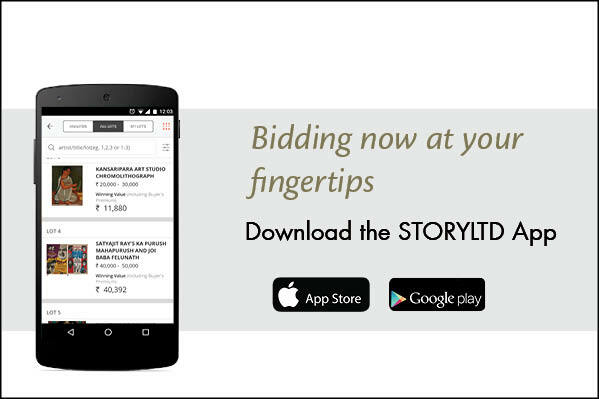 The final charges will be determined at the close of the auction and will be sent by email to the winning bidder. ii. International shipments for lots originating in India: For lots originating from India, a 12.36% Service Tax on the Buyer’s Premium is applicable. There may be duties and taxes levied depending on the delivery destination which typically will be on the total of the winning bid and shipping and handling values. Depending on the shipping address, these duties and taxes vary according to customs regulations in the destination country. Any shipments to EU countries will be charged an additional VAT as applicable. 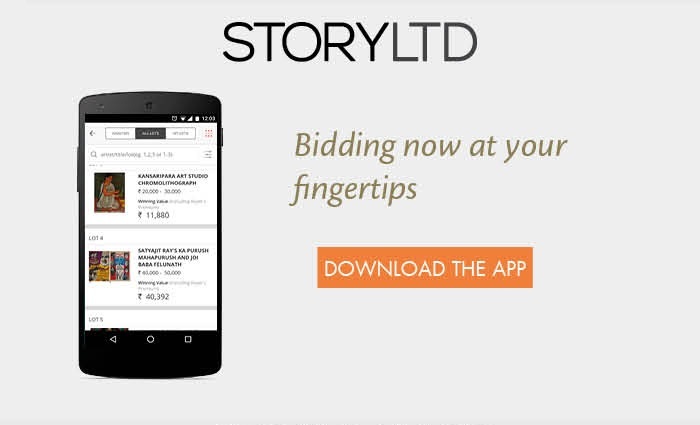 Please contact StoryLTD for further details.